I say this with a lot of love, but infusions are the greatest gift scam of all time. Fancy flavored sugars and syrups always seem like more effort than they are, particularly when placed in fancy containers. Making vanilla sugar is as easy as scraping a bean’s worth of seeds into a couple of cups of tables sugar, giving it a stir to distribute, then burying the halved bean in there. Close the container, let it sit at least a week, then give to a fancy friend. 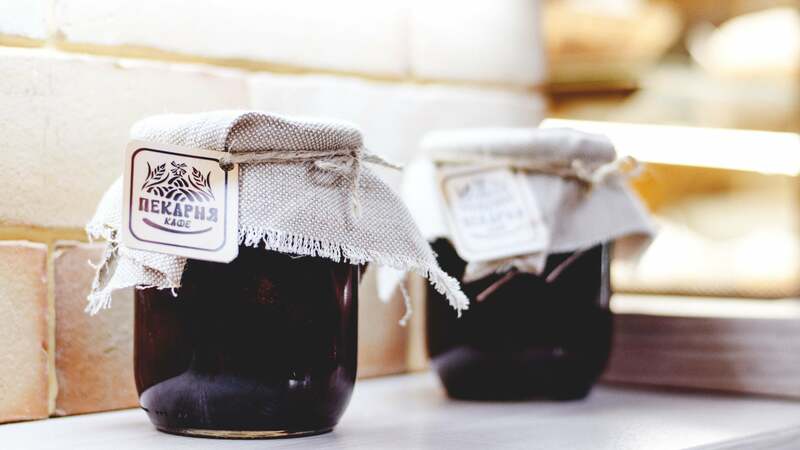 An edible gift can make someone feel loved in the way only delicious, homemade food can. They also leave no clutter behind, providing a welcome break from the sea of compulsively purchased consumer goods that's become synonymous with the holiday season. In case you can't tell, I'm a big fan. If you would rather spread joy with peppermint, the candy cane can help. To make a candy cane syrup—perfect for cocktails, cocoa, and festive mochas — just break eight candy canes into two-inch pieces, then add them to a pot with two cups of sugar and one cup of water. Dissolve over medium heat, until all forms of sugar are melted and the syrup comes to a boil. Let it simmer for a few minutes, remove it from the heat, and transfer to pretty jars once cooled. If you consider yourself a true Christmas con artist, you can simply smash some candy canes, put resulting powder in jars, and pass it off as fancy “candy cane dust” for dusting on cakes and cocktail glasses. Departing from seasonally-specific flavours, we have other options. Your favourite cocktail enthusiast deserves both a super intense, no-cook ginger syrup and some truly great homemade grenadine, and I bet the star baker in your life would really appreciate this DIY golden syrup (so much so, they just might bake you a truly excellent pie). Last year, I brought unto you the good news of haystacks, but it’s possible not everyone got the memo, so I will reiterate. Haystacks are a two-ingredient confection, made only from butterscotch morsels and crunchy chow mein noodles. You simply melt 311.84g of the former in the microwave in 30-second blasts, then mix in the crunchy sticks to get them thoroughly coated. Transfer spoonfuls of the mixture to wax paper, parchment paper, or a silicone baking mat and leave them alone until they have hardened. If you wish to up your ingredient count, I’ve heard some people add peanut butter, cereal, pretzels, or chopped nuts. I have not done this, but I bet it’s all very good. There are sweet makers, and there are sweet eaters, and I am firmly in the latter camp. Though I don't mind a cathartic cooking sesh, my main goal - during the holidays especially - is to churn out the treats. 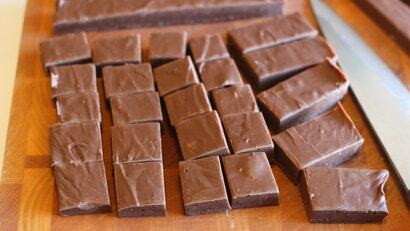 This is why this fudge, which takes less than five minutes of your active time, gets made every single Christmas. Though the lack of a candy thermometer may limit you in scope, this does not mean that fudge—or at least a fudge-like confection - is off limits to you. While it is not true fudge, this condensed milk-based treat will fool most, and can be made completely in the microwave. Also, if you don’t want to heat anything at all, mix crushed cookies and pulverized nuts with at least a quarter cup of alcohol to make boozy balls, such as gin or rum balls. Finally, let us not forget our slow cooker, which makes truly excellent candied nuts. Though this recipe requires the most ingredients so far — and a bit of egg beating — pretty much everything is mixed together in a Crockpot (or Crockpot-like device) and most of your time is spent waiting, either for the Crockpot to cook or for the nuts to set. Though I have never met a person who was not enamoured with haystacks, I appreciate that some of you may be feeling a bit more ambitious. 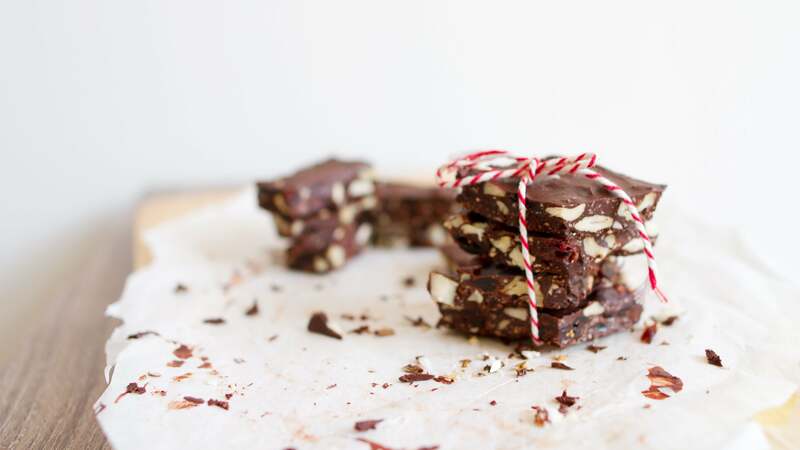 At the easy end of the spectrum, we have bark, which can be made with or without peppermint. The most challenging part of making bark is melting the chocolate without it seizing, a challenge which is surmounted by making sure your double boiler or microwave-safe bowl is completely dry. From there, it’s mostly a matter of spreading our melted chocolate on parchment, and sprinkling stuff on top, which I am sure you are capable of. Snappy, treat-studded chocolate bark is a holiday treat that is always met with much enthusiasm. (Williams Sonoma is able to charge $57 for 454g of their peppermint iteration, making it more expensive than organic rib eye.) There is, however, no reason to spend a bunch on bark, as it can be made in your kitchen with very little effort. If you don’t mind peeling many oranges, and boiling those peels many times, I would suggest you try your hand at the sunshine-y orangette, a treat our health and science editor makes every year with much enthusiasm. In the words of Beth herself, “Orangette is fancy but not fussy. You’ll spend a few hours making it, but you’re never a slave to the thermometer or the clock. 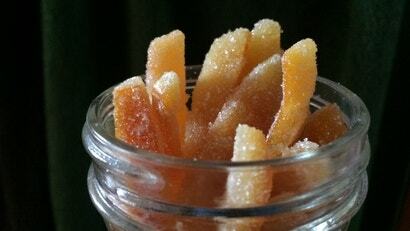 It also only has two ingredients: navel oranges and granulated sugar.” Seeing as one of my hobbies is not paying attention, this sounds like a fairly executable project. Now, if you have a friend or loved one that is truly deserving of a bespoke candy, consider crafting their favourite cocktail into a lollipop. It will require a candy thermometer, molds, and a good bit of booze, but the payoff is quite nice. If your friend’s favourite tipple happens to be a Negroni, you are in a lot of luck, for this tutorial employs that very cocktail for educational purposes.